A stunning Victorian era bracelet in remarkable condition. 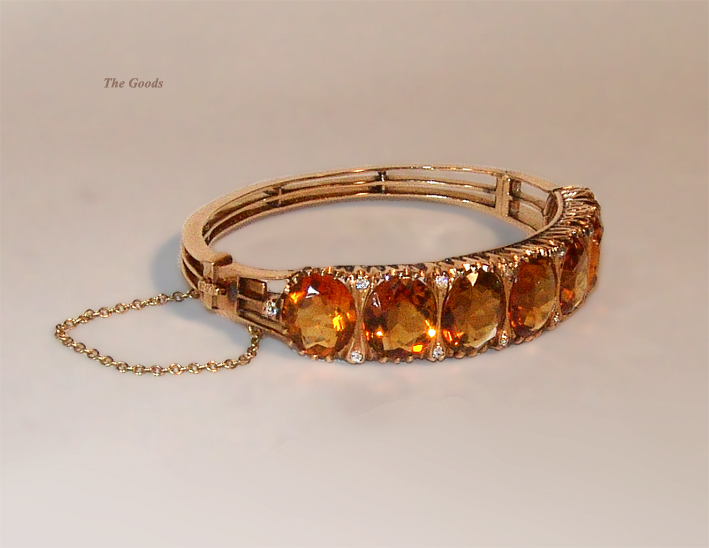 Gold set, gloriously bright, beautifully cut, Citrines, accented with rose cut diamonds. A rare and fabulous bit of Victorian jewellery.